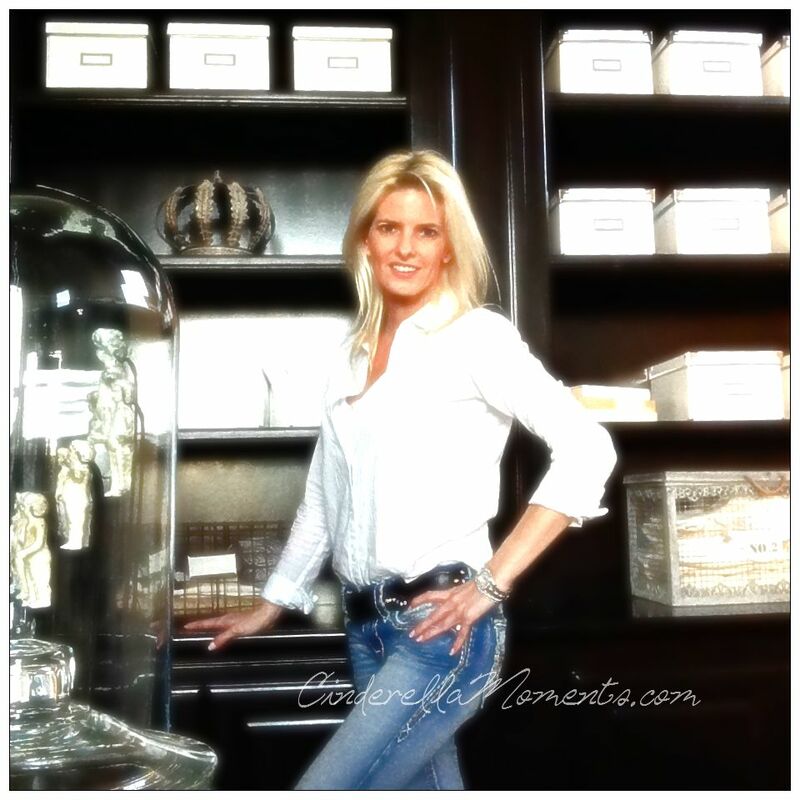 wow !, !, Caroline is beautiful! each and every one of the details are magnificent, amazing work. I love it! 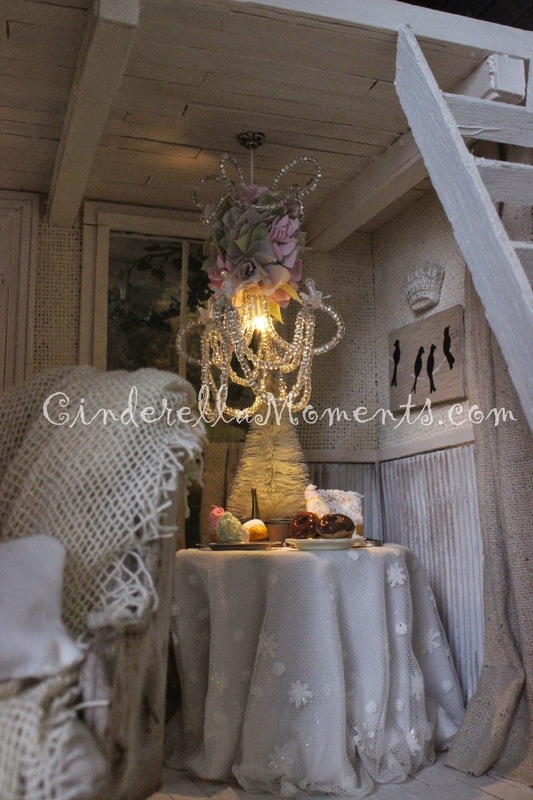 and the lamp is cute, my favorite. 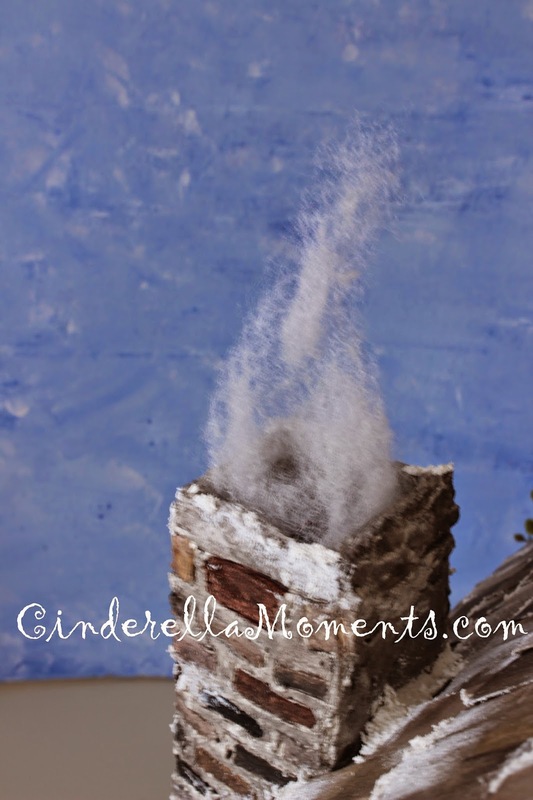 The smoke out the chimney is awesome! 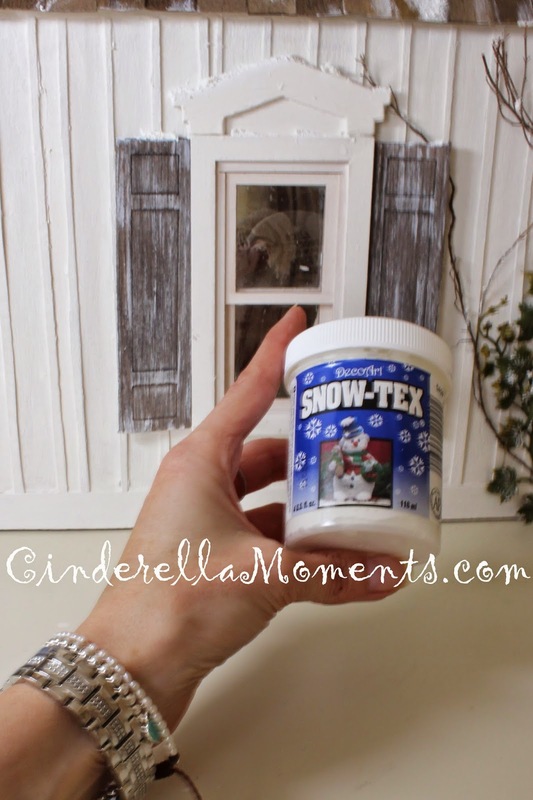 I will have to remember the Snow Tex when I create a winter scene. I guess I need to really shop my hobby store aisle. I had a train set when I was younger so my mother being frugal and my dad not wanting to spend to much money on this hobby had me used cotton balls for snow. 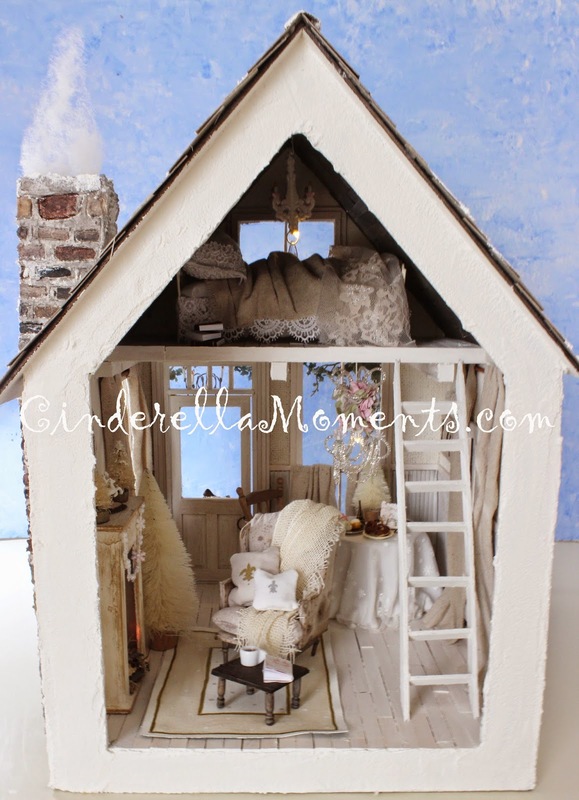 Funny how I think about it now, This really is a cute winter cottage to relax in and knit. The way you added snow is just magical, wonderful atmosphere. The tablecloth is perfect, the rest too of course. Too, too cute! 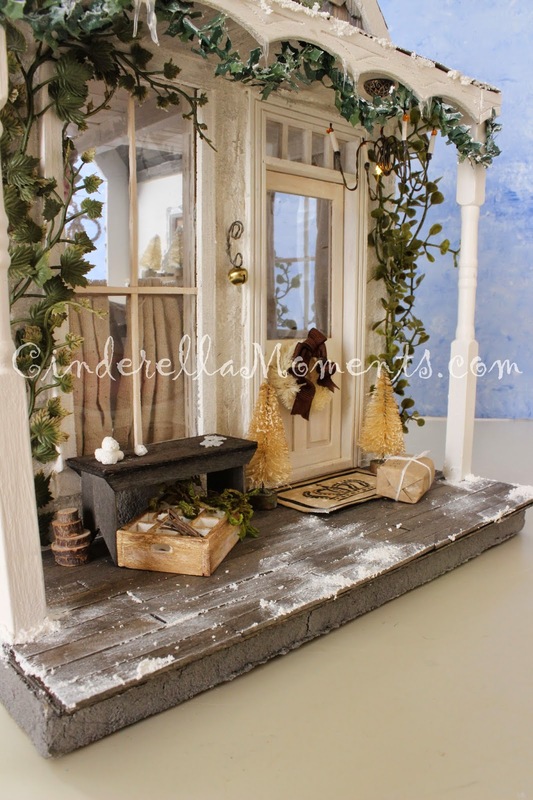 I love the little bench on the porch w' the snowballs on it. I thought they were eggs at first. The little bell by the door is adorable. 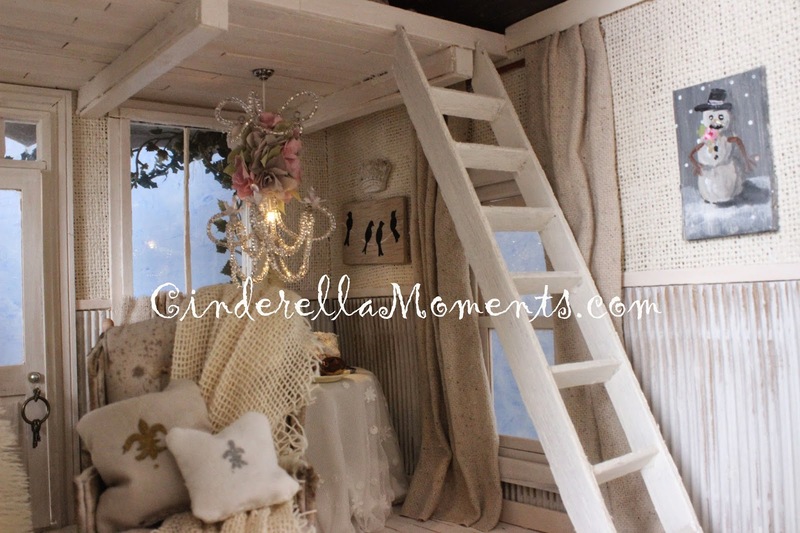 All the textures work perfectly to give it a very cozy feel. I like the bird picture on the wall inside too. Everything is just charming. Great job! Чудесный дом! Холодно снаружи и очень тепло внутри!!! Я с огромным удовольствием разглядывала ваши фотографии. Так много прекрасных идей! Спасибо!!! 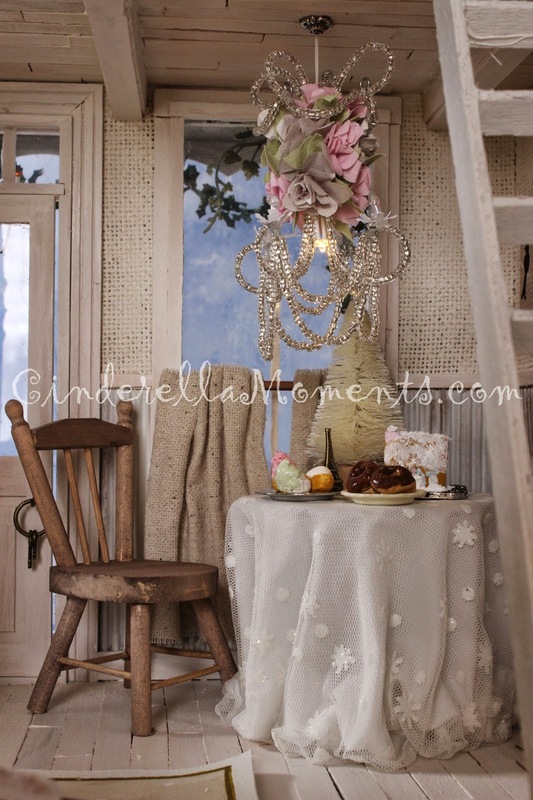 Fabulous and romantic! Everything is perfect. 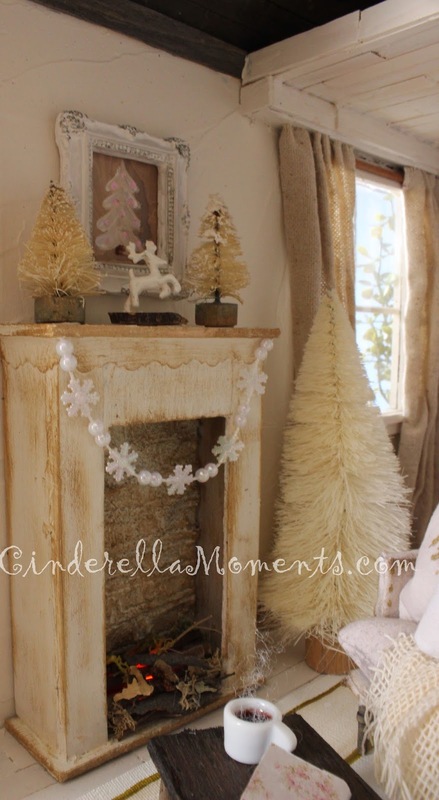 What a romantic Christmas cottage. snow here in Finland! :-O If that happens I will stay warmly inside and watch photos of your snowed house. 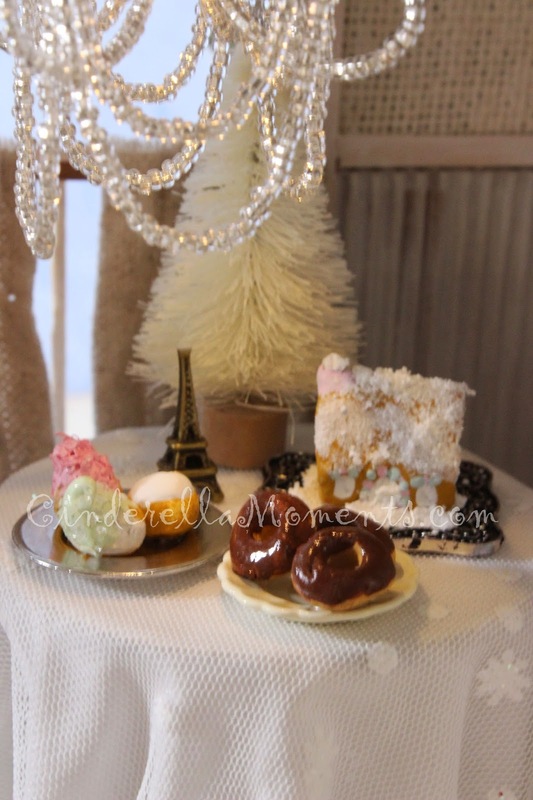 Caroline, you have outdone yourself, what a beautiful winter house :D! 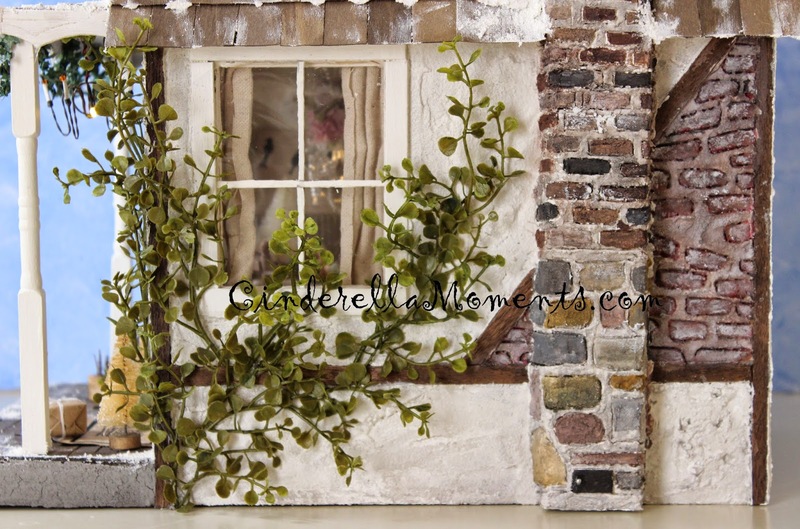 I love all the miniatures you've made and added to this cosy home, my compliments! Thanks for explaining the word quintessential, now I've learned a new English word ;)! 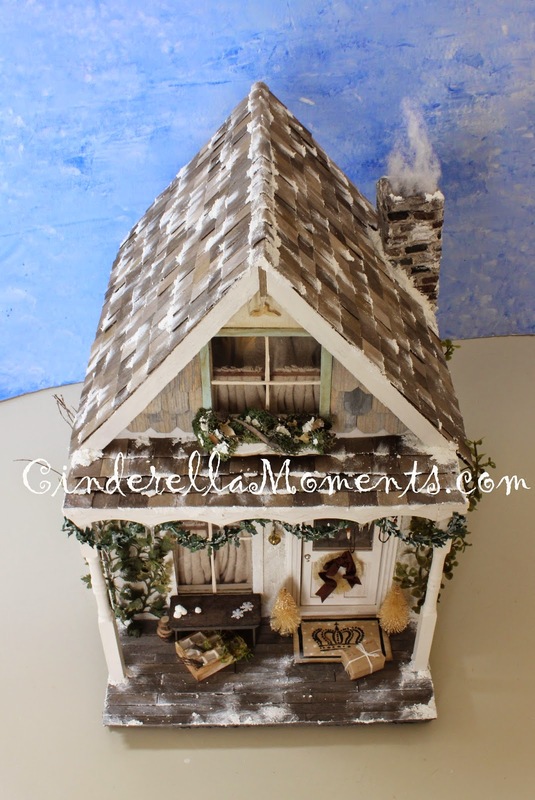 A magical snow cottage...........You always delight us with your creations. 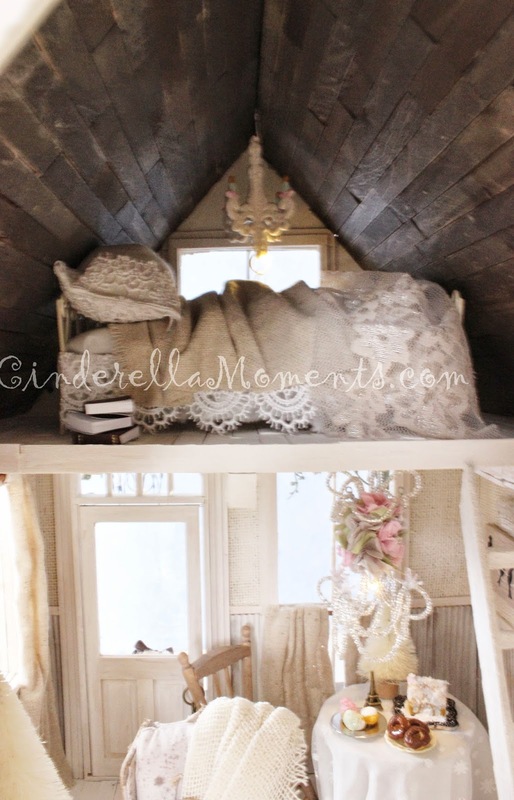 I love this darling cottage. Oh, really winter is coming! 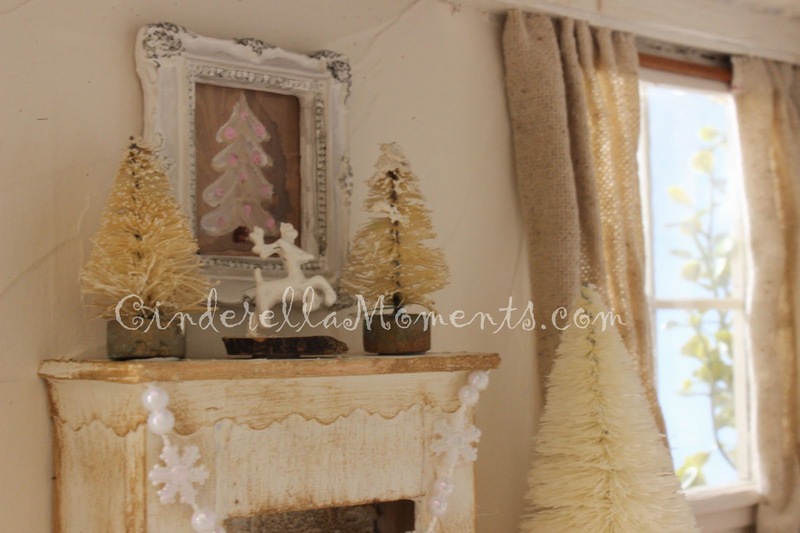 I love embers, picture with swallows, Christmas trees and a chair! This is wonderful.,the fire is just brilliant. When may I move in? It's soooo dreamy and magical! 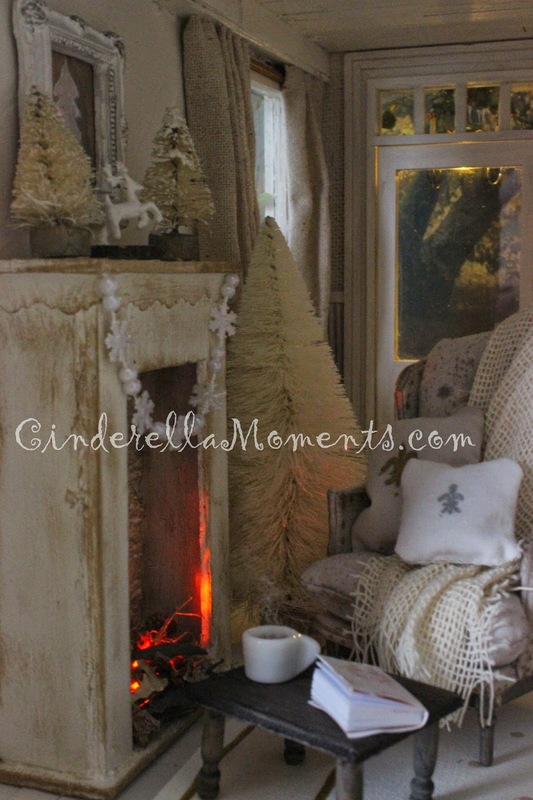 And oh my gosh....steam in the coffee cup, smoke from the chimney, the light dusting of snow and the icicles!!! 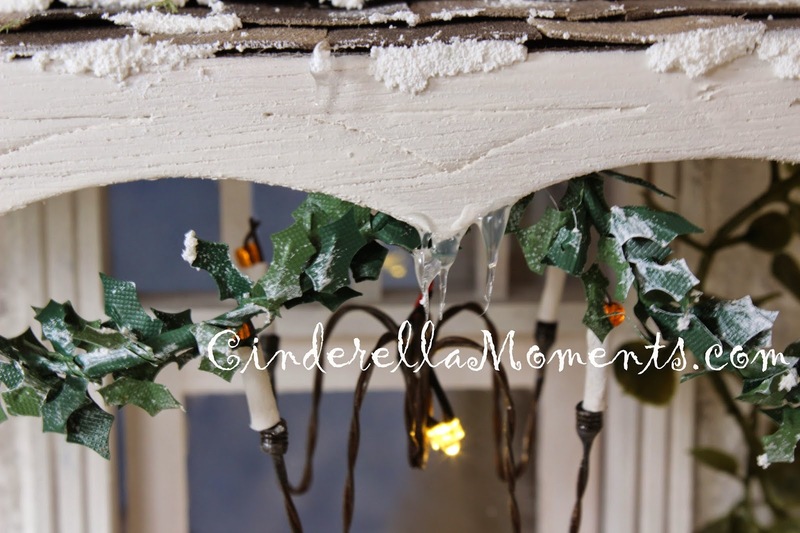 Ohhh.....the icicles!!! Those little touches really make the cottage come to life. It's perfect! Guauuu!!!! impresionante!!!! Te ha quedado fenomenal. 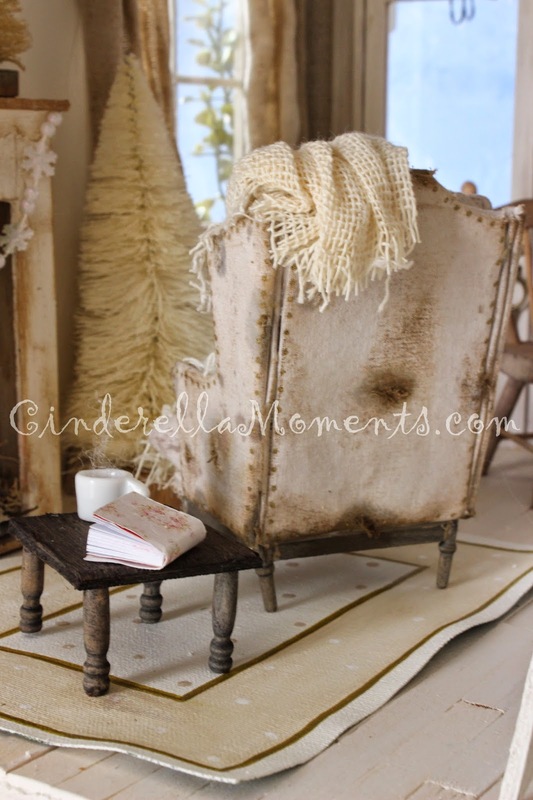 Wow how beautiful, I want to stay in that cosy little cabin and sit on that gorgues chair, I love it! !!!!! Qué bonita Caroline !!!!! !, como decimos en España "qué arte tienes". Me encanta, me encanta y me encanta. 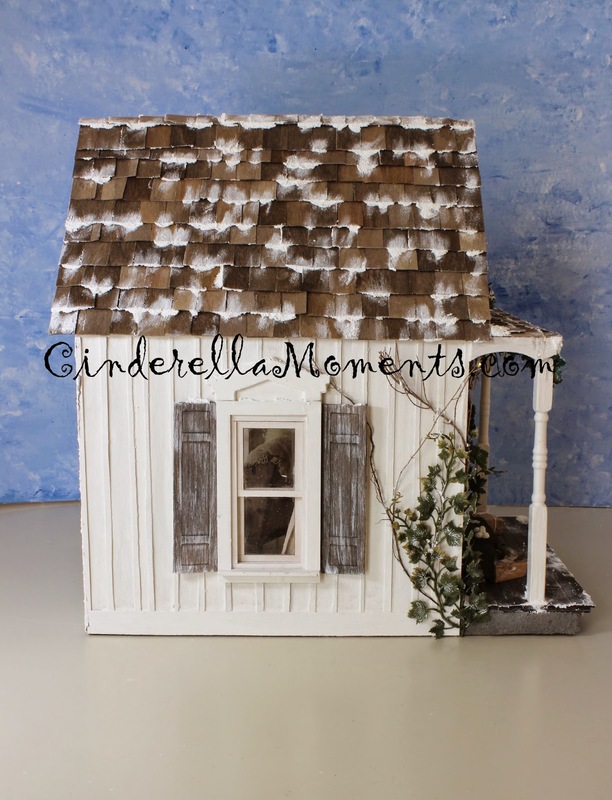 Wow Caroline I love this winter cottage it is gorgeous. 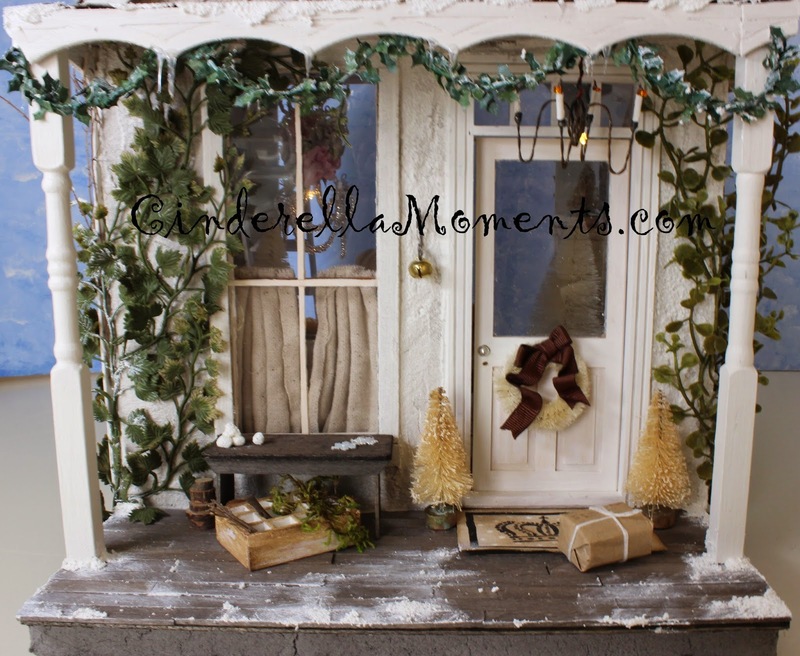 So many wonderful touches to make it so cosy and real.The snow looks fantastic. 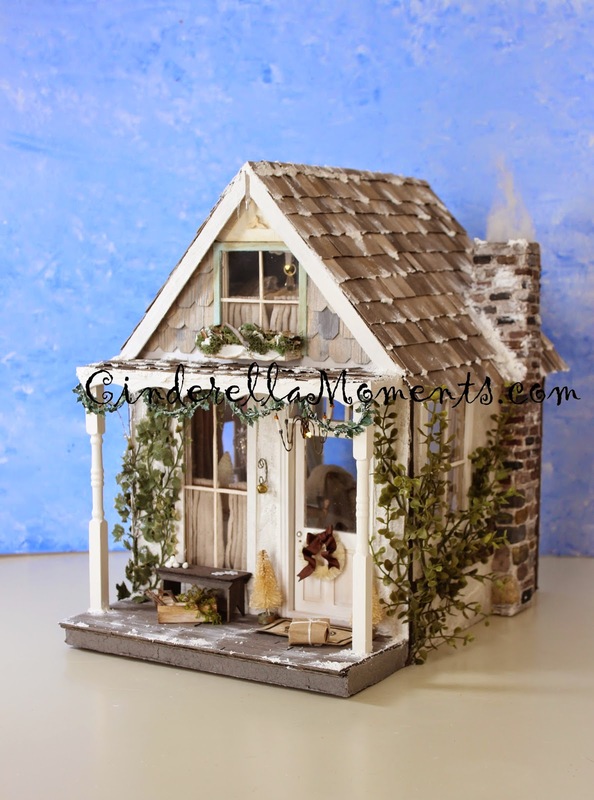 An other beautiful cottage, Caroline! Very cosy, and the snow looks really! I like the chair too! Grrr blogspot you don't like me! it erased my post! -_-""
Your work is wonderful Caroline but this cottage is pure magic, I'd say one of the beat pieces I've seen from you. Excellent job!!! Thanks for stopping by. LMAO about jk Rowling. Never say never! Haha. Ok, if Toad Hollow goes big (still laughing about that), I promise to buy one of your houses. 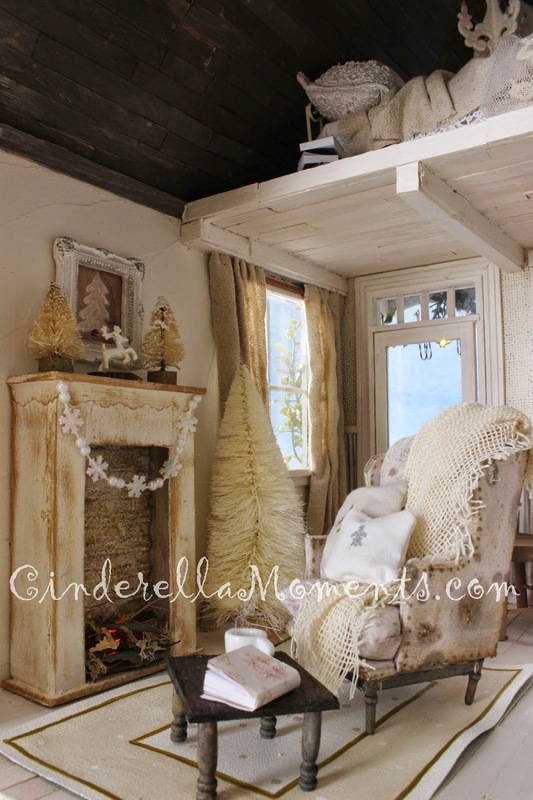 This dollhouse makes me want to just skip fall and go straight to winter and all the holidays!!! Love the little wisp of steam coming from the cup; just divine! Did you know they sell already bleached trees? I bought a pack last year at the craft store (I think Hobby Lobby?) and it had varying sizes. They were all natural beiges. I think I saw them already this year! Wow! As usual I am very impressed and inspired. I love your work! 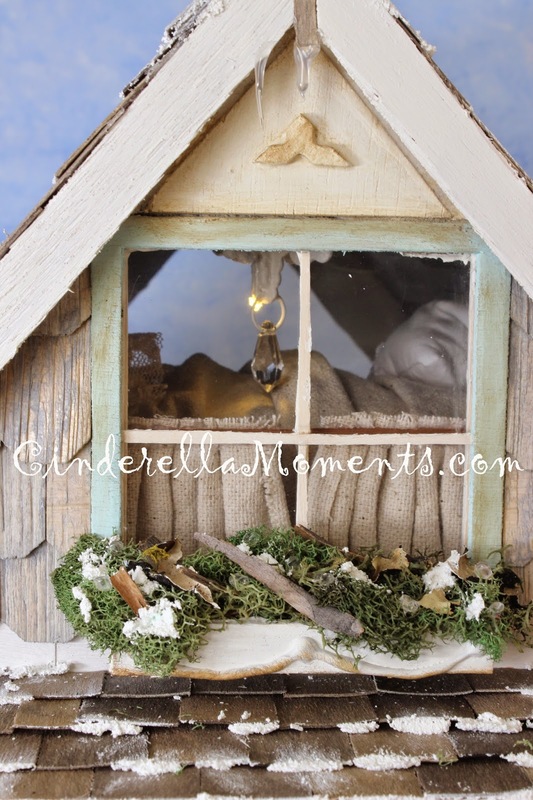 All the details make this winter cottage soooooooooo cute and welcoming!! 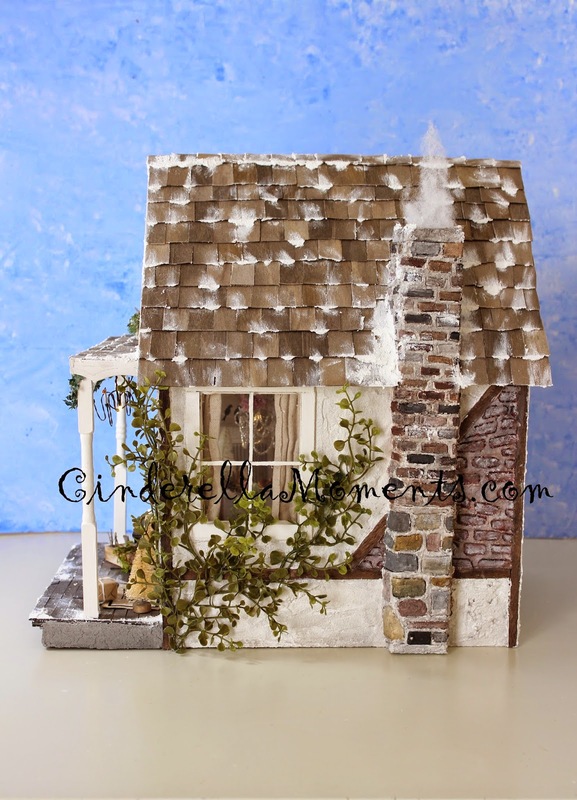 I love how you aged everything and the smoke, fireplace and the snow are wonderful touches that make that cottage unique. Well done Caroline as always!